Balzer + Bray, 9780062491534, 32pp. Cate Berry is a seventh generation Texan, splitting her time between the kitchen and the living room. She is a recent graduate of the Vermont College of Fine Arts MFA program in writing for children and young adults. She currently lives in Austin with her husband, their two children, and their kitten, Chopin. Although Penguin and Tiny Shrimp will try to convince you otherwise, Cate is an ardent fan of bedtime. 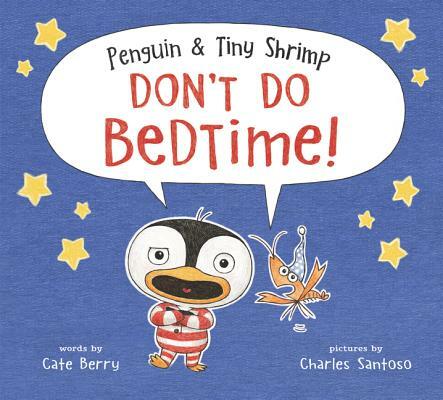 Penguin and Tiny Shrimp Don't Do Bedtime is her debut picture book. You can visit Cate online at www.cateberry.com.